As a dog owner, it seems like there is always a new toy, treat or gadget on the shelf that Fido just needs! Many of these products have health benefits to ensure your pet lives life to their fullest potential, including our MeasureON! dog harness, helping to monitor your dog’s health. If you read our blog post from last week, you probably have an understanding of what MeasureON! does, but if you are new, continue reading here to get a brief overview. We understand that pet owners want to ensure that their dog is healthy and comfortable at all times. The MeasureON! 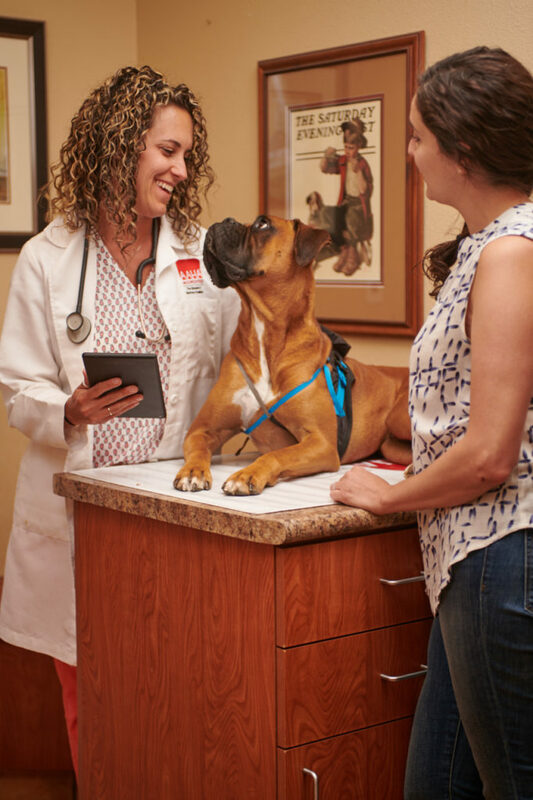 harness ensures canine health by providing continuous monitoring of health levels in real-time, 24/7 monitoring that can be viewed from your phone, tablet or computer via our app. MeasureON! records a dog’s temperature, pulse rate, respiratory rate, and activity level. Our VetMeasure team is working endlessly to provide care options that prevent heat stress, obesity, and epilepsy. If your canine is showing negative health signs, we recommend that you contact your veterinarian to ensure that your dog receives proper care. MeasureON! will be available for purchase in Spring 2019! If you want more information on how our product can benefit your dog, you can visit our website by clicking HERE, or please feel free to reach out to our team with any questions in the meantime. You can reach us at info@vetmeasure.com.